Signed and dated l.r., brush and brown watercolour "-38 / F.HINDER". The art of Frank Hinder , Sydney, 2011, 52 (colour illus. ), 55. 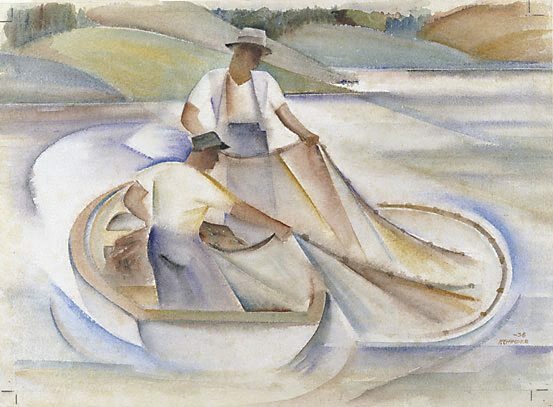 Australian watercolour painters: 1780 to the present day , 'The 1930s', pg. 150-161, Sydney, 1989, 150 (colour illus. ).